Some people will try and tell you that there is nothing guaranteed in life apart from death and taxed. This is blatantly not true. If you want proof that there are some things in life which are guaranteed you only have to check in and see what Party Poker is offering this Sunday. 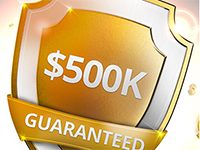 On Sunday the 11th of May 2014, Party Poker has a guaranteed game with a prize pool of $500,000. The top prize in the game is a cool $100,000 so there is definitely going to be a lot to look forward to. The fact that these prizes are guaranteed flies in the face of what so many people tell you is true. The big event starts at 14:00 ET, which is 20:00 CET and there are a number of ways in which you can play your way to glory. If you want to be guaranteed a seat at the big event all you need to do is buy-in directly at the price of $200. For some poker players, this will be too high a price but there will be some poker players that enjoy the simplicity of life and the peace of mind that comes with such an action. There is a slight incentive to buy yourself in to the event directly because anyone that does so will find themselves in line for a $500 win bonus on top of any other winnings they receive. If you are keen to add an extra reason to make an investment, this may be all that you need. Of course, there are plenty of online poker players who have no intention of paying such a fee for a poker tournament. The good news is that there is no need to because there is an opportunity to qualify for the guaranteed event through satellite events. Satellite events have long been the favourite aspect about tournament play for many poker players and this major event is no exception. There are satellite events running which have no entry charge and there are satellite events running which have a $1 charge. Clearly one of these entry prices is more appealing than the other but if you have been around online poker for any reasonable length of time, you know that the higher price entry level will always be slightly easier. As the saying goes, you pay your money and you take your choice. If you still haven’t qualified by Sunday there will be an additional chance to qualify through the Mega Satellites, which have a $5 entry fee. There will be 100 guaranteed seats on offer and this event takes place at 10:30 ET, which is equivalent to 16:30 CET. Gaining entry to a major tournament for just a five dollar outlay is still clearly good value so don’t rule out this option too soon. There may not be many things in life which are guaranteed but there is guaranteed fun on offer for poker players on Sunday. This entry was posted in Poker Tournaments on May 10, 2014 by admin. Celeb Poker regularly runs 3 Sit ‘N’ tournament series’ with progressive jackpots: the Maui Sit ‘N’ Go Progressive Jackpot, the Rio Sit ‘N’ Go Progressive Jackpot, and the Fort Knox Sit ‘N’ Go Progressive Jackpot. The Celeb Poker Maui Sit ‘N’ Go is a 6-handed event with a buy-in of $5 + $1. If you can manage to win 5 Maui Sit ‘N’ Gos in a row, then you’ll win a jackpot of at least $15,000 on top of all your prize winnings. The Maui Progressive Jackpot always starts out as $15,000, with $3,500 added to it each week until there’s a winner. That means if nobody wins the Maui Sit ‘N’ Go Progressive Jackpot during the week, Celeb Poker rolls the jackpot over into the following week plus $3.5K making a new jackpot of $18,500, the next week $22,000 and so on after that. Players who don’t win all 5 Maui Sit ‘N’ Gos in a row but finish at least first or second in 5 in a row win a consolation bonus of $200. The Celeb Poker Rio Sit ‘N’ Go is a 6-handed event with a buy-in of $20 + $3.50. If you can manage to win 6 Rio Sit ‘N’ Gos in a row, then you’ll win a jackpot of at least $25,000 on top of all your prize winnings. The Rio Progressive Jackpot always starts out as $25,000, with $10,000 added to it each week until there’s a winner. That means if nobody wins the Rio Sit ‘N’ Go Progressive Jackpot during the week, Celeb Poker rolls the jackpot over into the following week plus $10K making a new jackpot of $35,000, the next week $45,000 and so on after that. Players who don’t win all 6 Rio Sit ‘N’ Gos in a row but finish at least first or second in 6 in a row win a consolation bonus of $300. The Celeb Poker Fort Knox Sit ‘N’ Go is a 6-handed event with a buy-in of $50 + $9. If you can manage to win 6 Fort Knox Sit ‘N’ Gos in a row, then you’ll win a jackpot of at least $50,000 on top of all your prize winnings. The Fort Knox Progressive Jackpot always starts out as $50,000, with $10,000 added to it each week until there’s a winner. That means if nobody wins the Fort Knox Sit ‘N’ Go Progressive Jackpot during the week, Celeb Poker rolls the jackpot over into the following week plus $10K making a new jackpot of $60,000, the next week $70,000 and so on after that. Players who don’t win all 6 Fort Knox Sit ‘N’ Gos in a row but finish at least first or second in 6 in a row win a consolation bonus of $750. For more information about Celeb Poker visit CelebPokerBonusCode.net, grab their bonus, sign-up, and play in these amazing Sit ‘N’ Go tournaments. This entry was posted in Online Poker Promotions, Poker Tournaments on February 4, 2011 by admin. Party Poker maintains tournament leader boards that give players the chance to earn cash bonuses for performance excellence over the long-term. 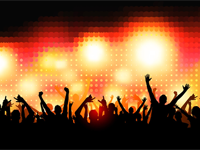 Each month, Party Poker awards players $40,000 in leader board prizes. There are Weekly Tournament Leader Boards and Monthly Tournament Leader Boards, which are a nice addition to the site’s many awards on offer such as their stunning Party Poker bonuses. The Weekly Tournament Leader Boards are the Sit & Go Weekly Leader Board and the Multi-table Weekly Leader Board. For both of these, a weekly period is constituted as 0:00 am ET Monday – 11:59 pm ET Sunday. Top prize on each of these two leader boards is $600, with 2nd through 10th places winning a seat in the Party Poker $300K Guaranteed Sunday tournament, and 11th through 50th places winning a ticket into a $1,000 TLB Freeroll tournament. Similarly, the Monthly Tournament Leader Boards are the Sit & Go Monthly Leader Board and the Multi-table Monthly Leader Board. For both of these, a monthly period is defined as 0:00 am ET on the 1st of the month to 11:59 pm ET on the last of the month. Top prizes on the Sit & Go Monthly Leader Board are $2,500 for 1st, $1,800 for 2nd, and $1,200 for 3rd; top prizes on the Multi-table Monthly Leader Board are $2,000 for 1st, $1,000 for 2nd, and $800 for 3rd. That makes four Tournament Leader Boards at Party Poker in all: 2 for Sit Go Tournament players and 2 for MTT players. The points you earn at Party Poker tournaments apply toward both your weekly and monthly leader board standings. Leader board points are figured out based on a special formula that takes multiple factors into account, including the stakes and buy-in of the tournaments you did well in, and how well you did. The weekly $1,000 TLB Freeroll Tournament will take place on Sundays at 2:00 pm ET and is comprised of players seeding from the Sit & Go and MTT leader boards alike. For the largest and best Party Poker review, please visit www.bonusonlinepoker.org. This entry was posted in Online Poker Promotions, Poker Tournaments on August 15, 2010 by admin. Titan Poker recently announced a tie up deal that the poker site had made with PokerListings.com that would result in tow large WSOP main event packages being given away to lucky players for no cost whatsoever. These packages will get players interested in being part of the World Series of Poker, a chance to cut to the chase and fast forward right to the main table. This would mean that the winners of these two packages will not have to battle their way through several other poker players and risk the possibility of falling out before the main prize was on the line. These two packages are for the Main Event at the 2010 WSOP and players can get in on the action by participating in one of the freerolls hosted by the site. These freerolls will end on The 8th of May 2010. Should the players win the freeroll, they will be able to take a seat in the 2010 WSOP final table. The package is worth $10,000 which is the agreed upon buy-in got this years 2010 Main Event. Winners will also enjoy the many benefits that they will earn from the package as a result of the deal that Titan Poker made with PokerListings. This will include entry to the PokerListings VIP Champion Camp which allows its members to have a sophisticated Las Vegas experience by going out on helicopter tours, and enjoy fine dining at some of Vegas’ best restaurants and shopping at some of the more effluent boutiques. 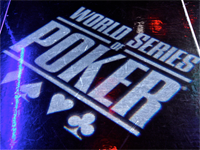 In addition to the two WSOP packages on offer to players, the site has also made provisions for players to benefit from PokerListings’ promotions and get rewards that include designer suits, fashion accessories like sunglasses and professional poker strategy lessons designed to help players hone their skills before they sit down at the WSOP. Players are encouraged to bet well at these events so as to increase their winning potential and Titan Poker has made an allowance for this by proving members with cash prizes. Winners of the packages will also be able to purchase plane tickets for their friends and loved ones who would want to come and watch the final game. This entry was posted in Live Poker Satellites, Online Poker Promotions, Poker Tournaments on May 1, 2010 by admin.